1. Prepare finger nail with base coat and polish , allow to dry completely . 2. Peel backer sheet to expose sticker, remove sticker with care , to avoid tearing . 3. 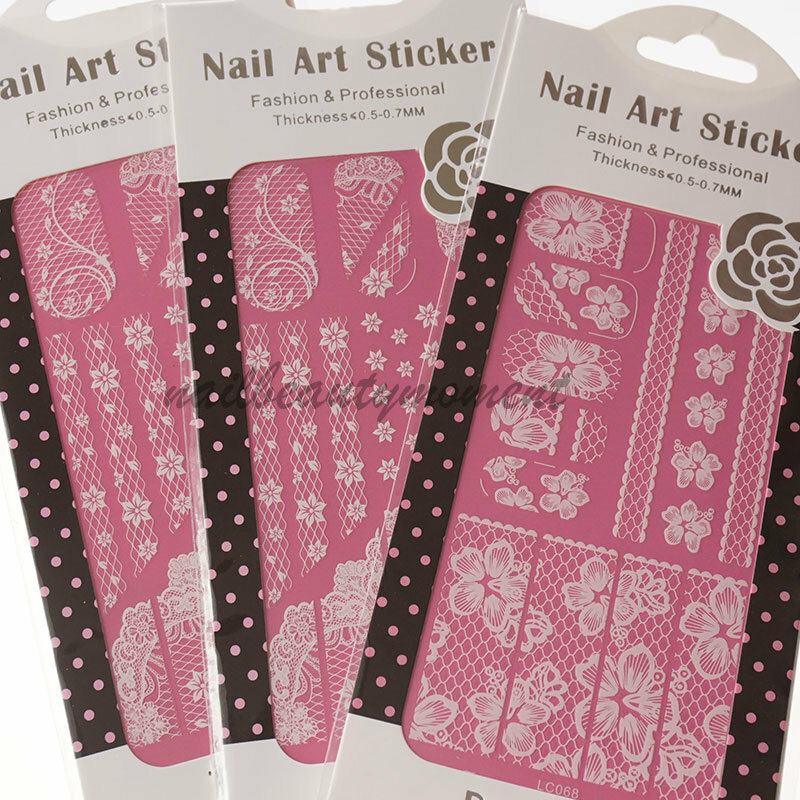 Apply sticker firmly to desired nail surface area. 4. Apply the top coat to / protect the nail stickers well. 1. Use nail polish remover to remove top coat . Or peel sticker from edge slowly to avoid tearing. 2. 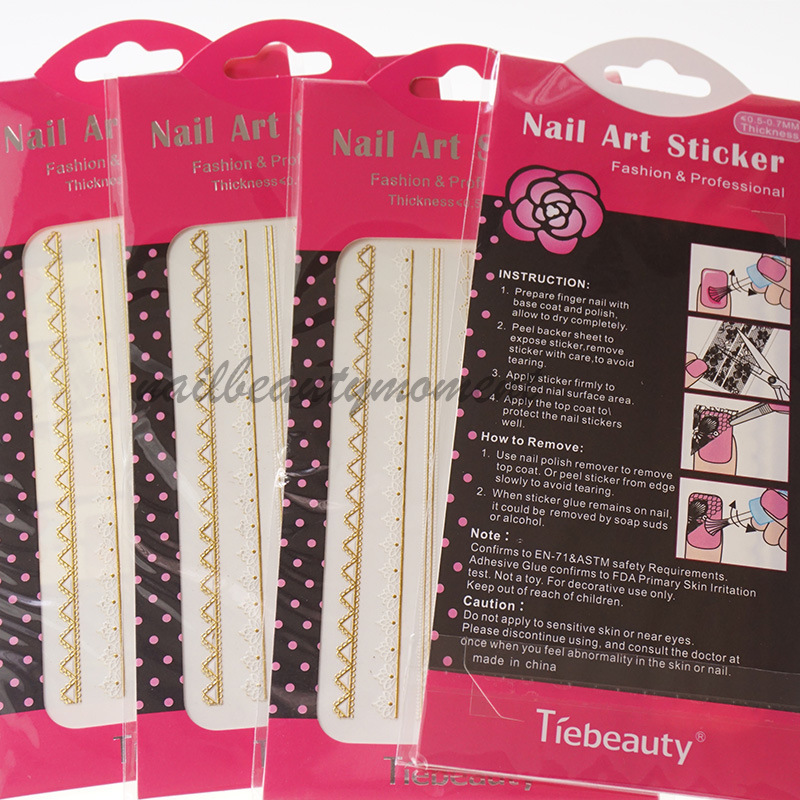 When sticker glue remains on nail, it could be removed by soap suds or alcohol. Confirms to EN-71&ASTM safety Requirements . Adhesive Glue confirms to FDA Primary Skin Irritation test. Not a toy. For decorative use only .